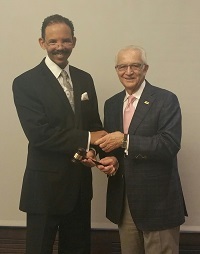 The American Association for Accreditation of Ambulatory Surgery Facilities (AAAASF) elected Dr. David Watts as its president during an annual board meeting Oct. 15. Watts has served on the board since 2010 as a member of the standards committee, education committee, innovations committee and business development committee. He has also served as treasurer and on the executive committee. Watts is founder and chief executive officer of the Plastic & Cosmetic Surgery Institute in Vineland, New Jersey. He also is chief executive officer of the Ambulatory Surgical Center and Watts Plastic Surgery Association, Inc. in Vineland, New Jersey, as well as founder and principal of Dr. Watts’ Skin Care International, LLC and founder and chief executive officer for Accreditation Solutions Alliance, LLC.